You may have heard about how the police can pull you over and - if they find cash on you - take it from you and keep it. This wonderful thing is called “Civil Forfeiture” and most people have no idea how it works or how widespread it really is. Civil Forfeiture has been getting more attention lately and has been featured on shows like John Oliver’s as well as more mainstream news outlets. But the problem has been around for years. It’s just that law enforcement has ramped it up since 9/11. It goes like this: You’re driving somewhere and you have a lot of cash on you. Say you are going to buy a car with cash. The police pull you over, find the money and they take it. You want it back? You have to litigate the matter (i.e., hire an attorney and spend ton of time and money) and then you have to prove the money was not the product of criminal activity. Notice that: YOU have to prove it. Not the other way around. And this problem is much bigger than most people realize. So in this week’s podcast I talk about how it works, how big the problem is and how it could be very easily fixed. That is, if the politicians wanted to fix it. Which they don’t. 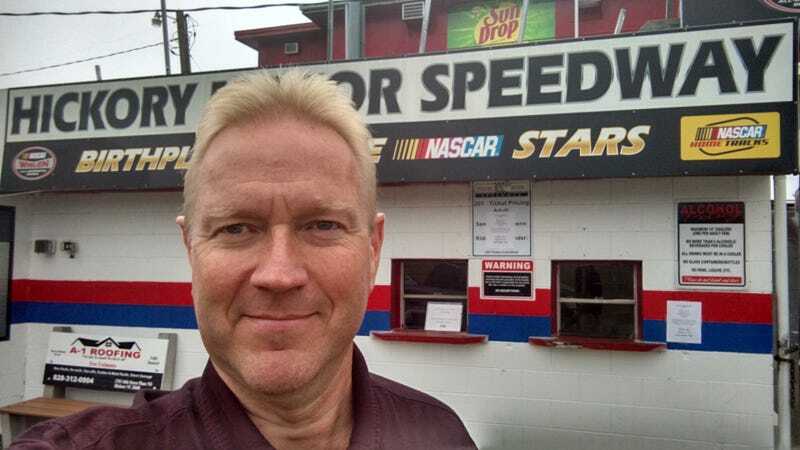 And the pic at the top was taken at the Hickory Motor Speedway, the track where Bobby Isaac got his start. I was there to help film a documentary for NASCAR. As they say: Stay tuned for details.